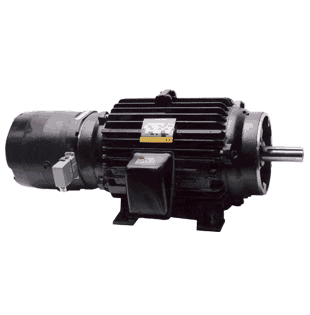 Kor-Pak offers a wide variety of AC Motors up to 1,000 HP, carrying most major brand names. 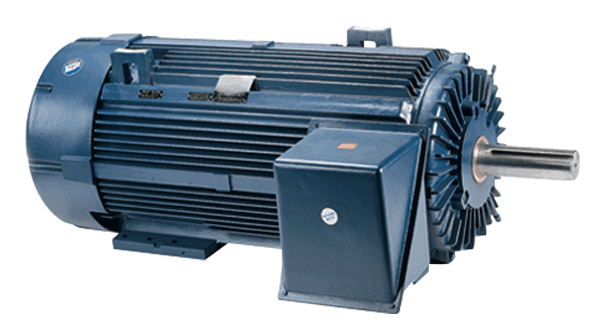 Kor-Pak offers high-quality inverter duty motors that are used in conjunction with AC Variable Frequency Drives. 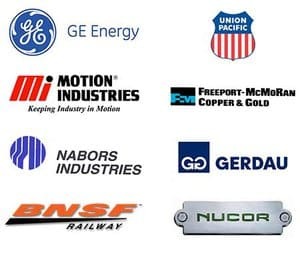 Kor-Pak does not just buy and sell products; they possess the knowledge assets to assist you with product selection and design to upgrade your motor and ascertain which product best suits your application, including dimensional specifications to provide a seamless upgrade to drop into your existing application. The modular design consists of a foot mounted NEMA motor, and a “C” face drive end and accessory “C” face. This design feature shortens delivery time and can be furnished with a variety of options, including encoders and brakes. Capable of a 1000:1 speed range, this motor series is a perfect companion to Magnetek’s Pre-engineered Single Motion Crane Controls. 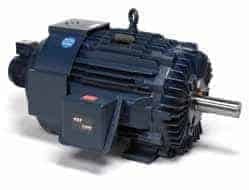 Kor-Pak provides high-performance Inverter Duty Motors to work in conjunction with your Variable Frequency Drives. 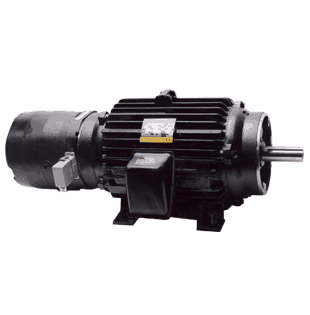 AC motors can be driven by across-the-line contactors and starters. The electricity sent to the motor is a very clean (true) sine wave at 60Hz. Noise and voltage peaks are relatively small. 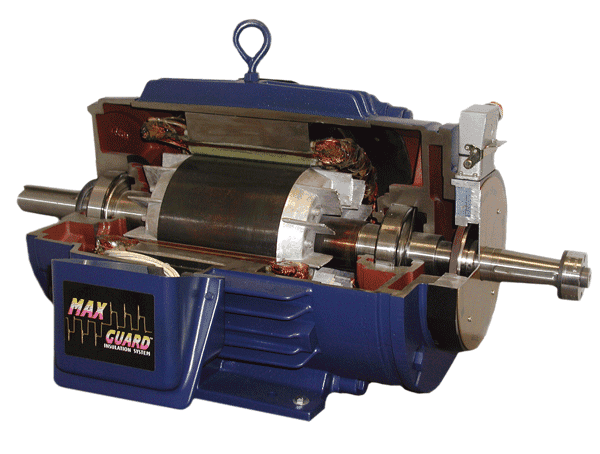 However, there are drawbacks: the motors can only run electrically at one speed (speed reduction is usually handled by gearboxes or some other, usually inefficient, mechanical means) and the inrush of electrical current (when the motor is first turned on) is usually 5 to 6 times the normal current that the motor consumes. 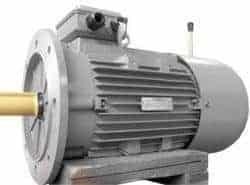 The speed reduction apparatus is expensive and bulky, and the inrush can wreak havoc with power systems and loading (imagine an air conditioning system in an old house – when the compressor kicks on, the lights dim; now imagine the same circumstances with a motor the size of a small car).